What if life got bigger, instead of smaller, as we age? As we downsize our homes, possessions and expenses, can we grow socially, creatively, mentally and physically? I’ve been seeing signs all over that we can. I just joined a new gym, and it has a Silver Sneakers program. Many Medicare plans include membership to this fitness program, housed in 13,000 locations all over the country. I’m not old enough to join, but when I peek in the packed studio I see not only active people, but people forging bonds and sharing laughs. One member, age 70, told me she had no time to take classes before she retired, but now attends up to six a week. She values the friendships she has made as much as the benefits of exercise. Within my own family I find dear relatives over 80, some continuing to do well, or even better, what they have done for decades. Others are taking on whole new roles. 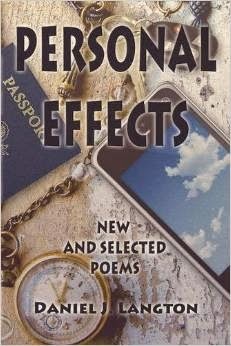 My cousin Daniel J. Langton, the poet, has penned some of his richest work in his 80s. My Aunt Tae, now 100, became Wii bowling champ in her assisted living home at age 98. And it turns out science is on the side of seniors. The Times article points out two different types of intelligence: crystallized (general knowledge) and fluid (problem solving) intelligence. Fluid intelligence and the ability to solve problems usually peaks in our late 20s. But crystallized knowledge increases as we age. Yay! All that general knowledge is bound to find a creative outlet, especially once retirement gives you the time to think about it. Studies also are showing you can improve fluid intelligence, the intelligence that shrinks with age, with non-academic pursuits, according to an article in Psychology Today. The author, Christopher Bergland, lists physical activity, playing a musical instrument, making art, improving motor skills, meditation, daydreaming, and getting a good night’s sleep. Sounds like a great checklist for tiny retirement to me.